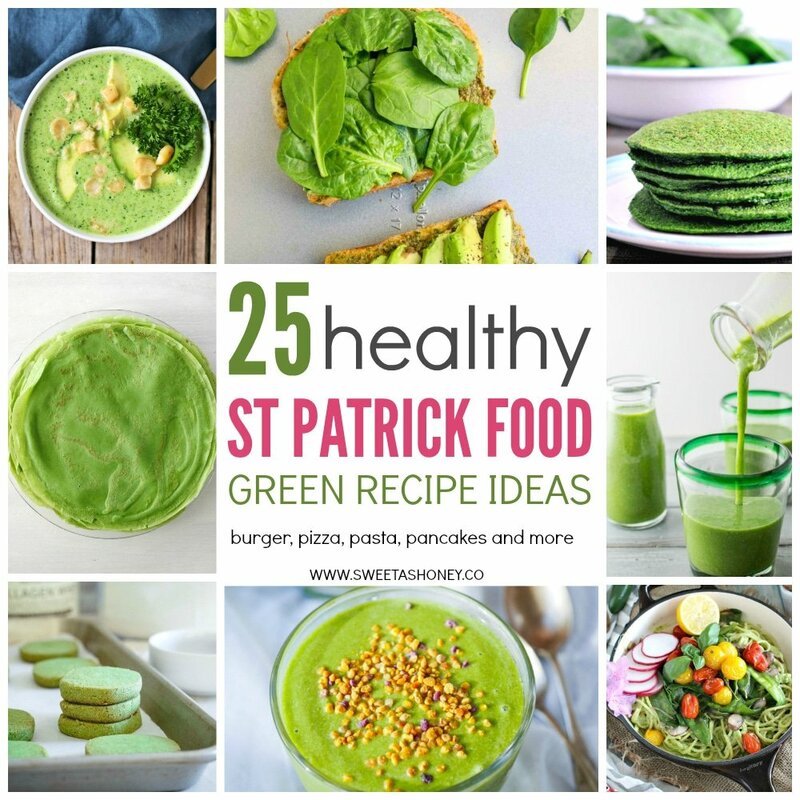 If you are looking for Healthy Green Recipe to celebrate St Patrick’s Day on 17 th March and keep things clean you must try one of those 25 green recipes. 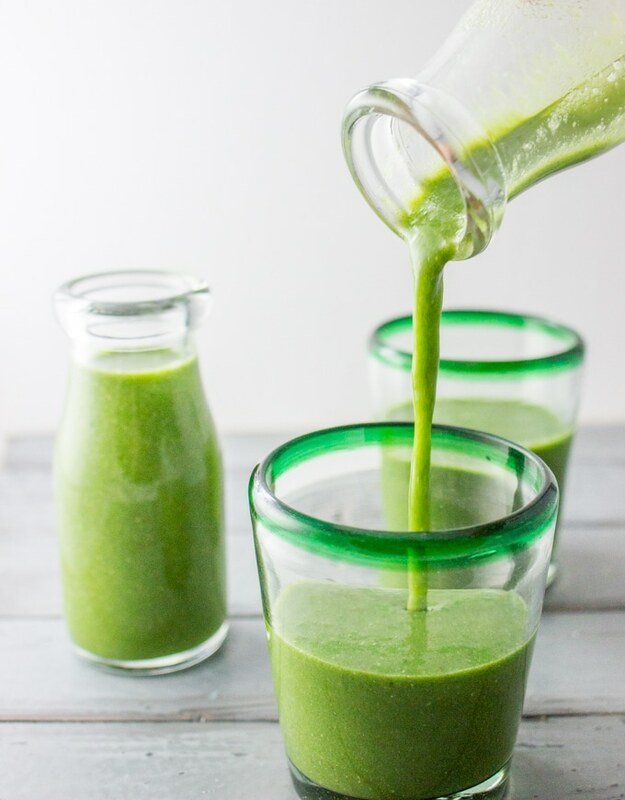 Here I collected for you the most delicious 25 healthy green recipe to celebrate St Patrick’s Day. 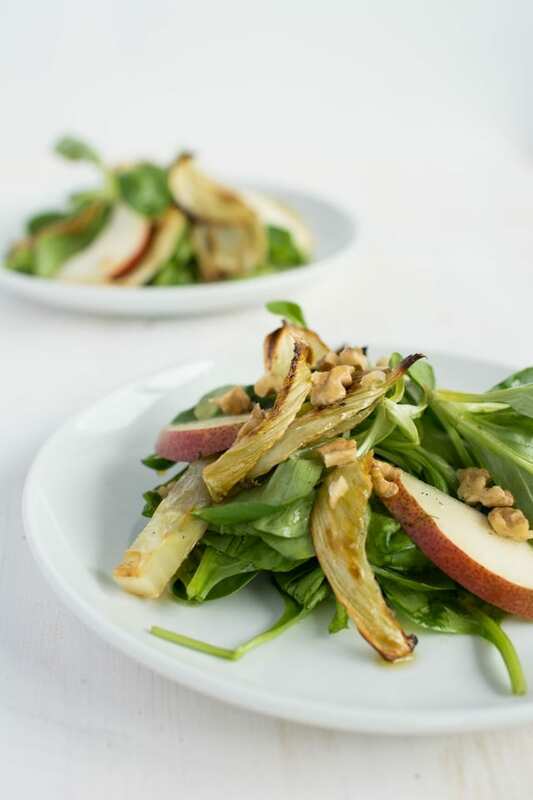 Each are naturally green clean food recipes to put on your table on St Patrick’s day. 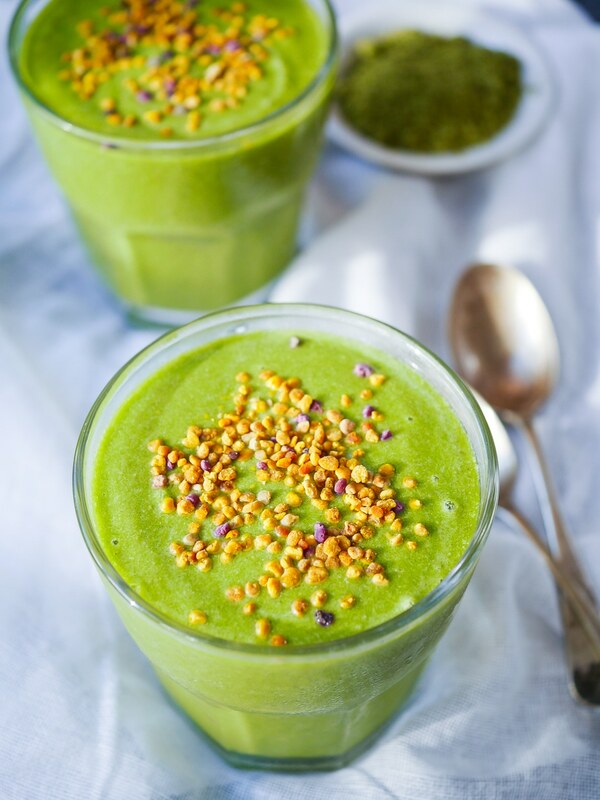 If you love avocado, kale, spinach or matcha powder there is plenty of recipe choice here. There is pasta, ice cream, pie, dips, soup, smoothie and more. 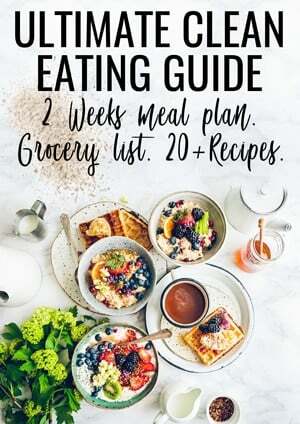 Not enough recipes here ? Check out my collection of clean food recipes on the blog! Who’s celebrating St Patrick’s day this year? I am not Irish – French as you know – but I love celebrating this day simply to eat green food and dress up my kids. Below I listed my own favorite green recipes and some of my favorite friends food blogger around the web. 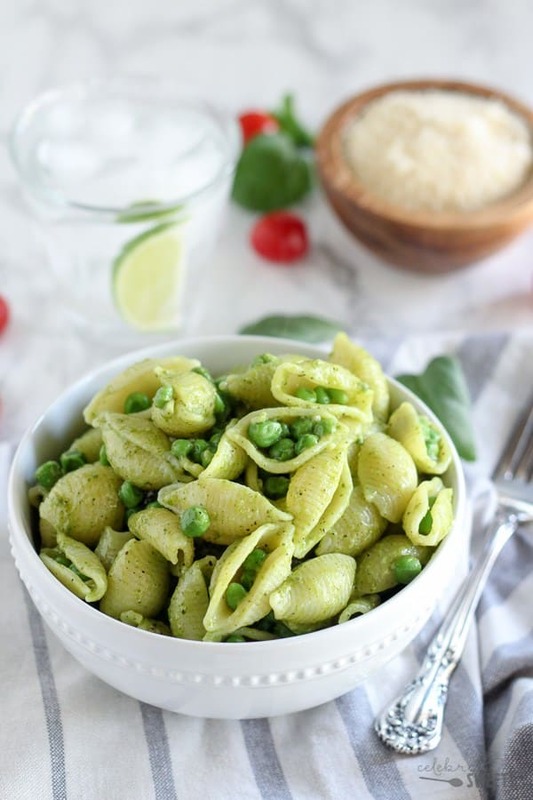 A green recipe for anyone! Enjoy ! Carine. 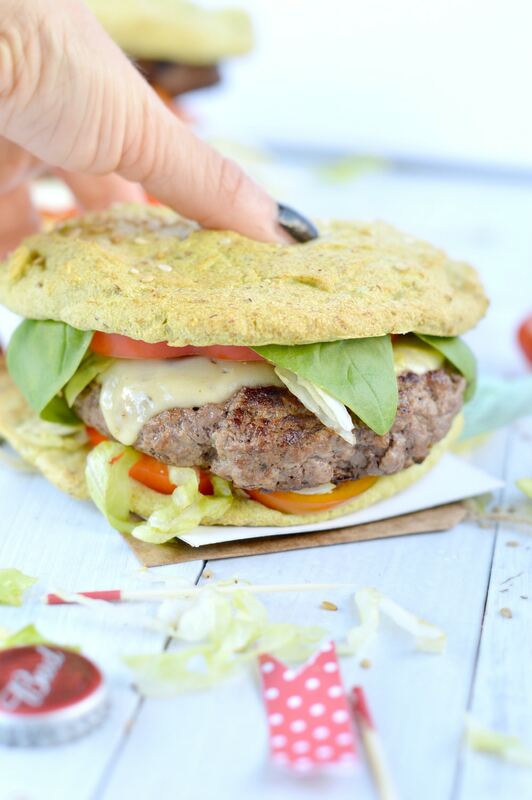 Those avocado burger buns contains only 3 simple ingredients : avocado flesh, almond meal and egg white! A zero carb burger bun loaded with healthy fat and protein. Also known as oopsie bread those are 100% dairy free. 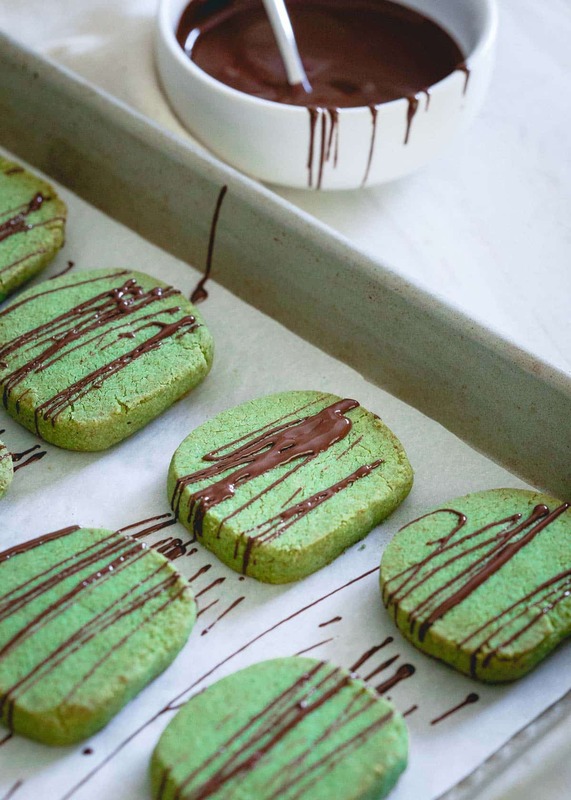 Lovely green shortbread cookies made of paleo flour mix. To keep the whole recipe paleo we recommend honey or coconut sugar instead of sugar. Who doesn’t love spinach dip? My creamy spinach dip recipe cut out the fat and dairy and use raw avocado instead. 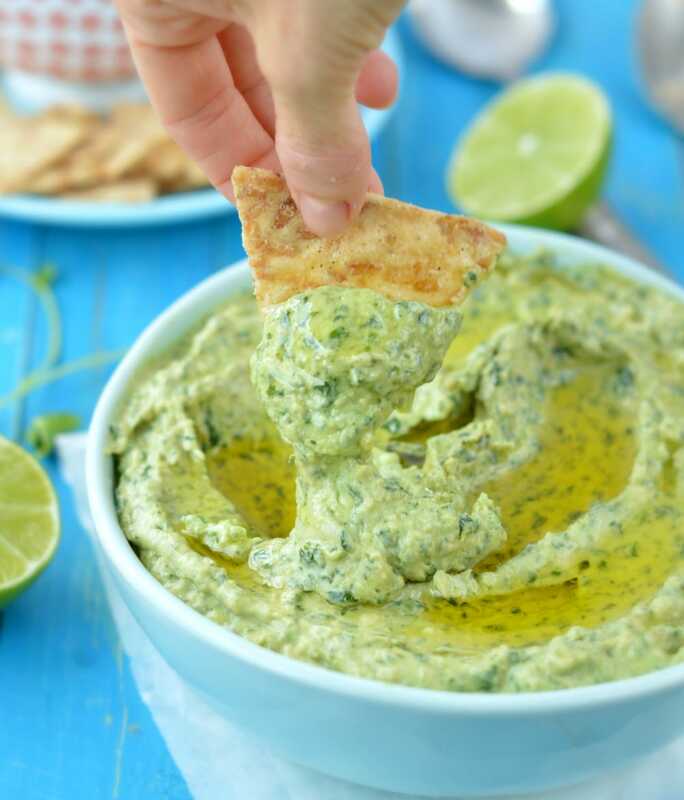 A fresh and green dip that all the family love. 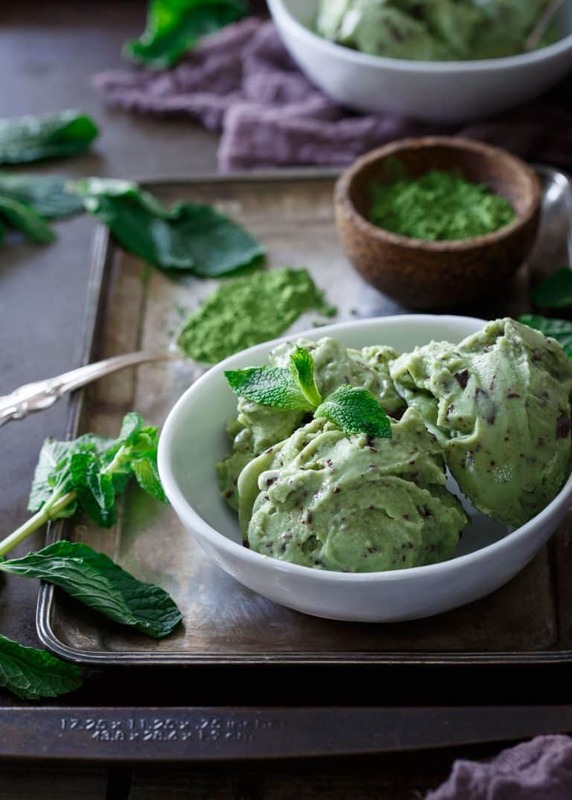 A lovely coconut milk ice cream recipe with fresh mint and matcha powder. Nothing more to say than de-li-ci-ous! Mango is such a great fruit to makes your smoothie thick and creamy without dairy. Delicious green crepes made of spinach and served with homemade coconut pistachio butter. 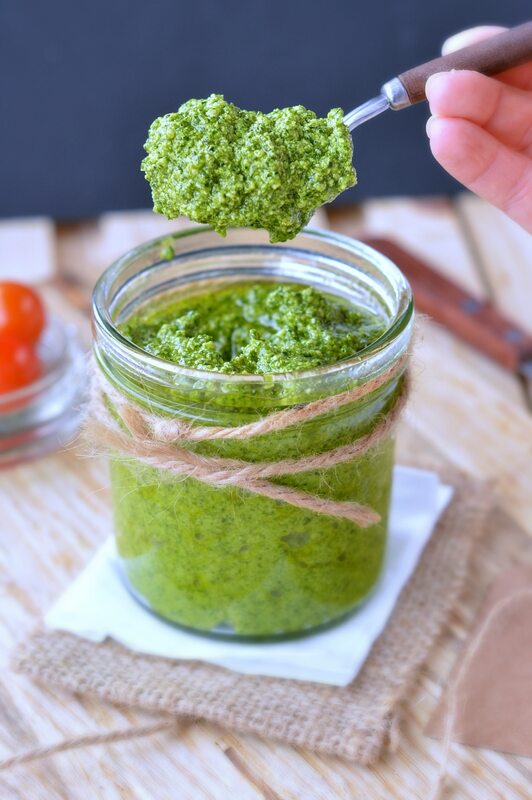 My 5 minute blender cashew pesto recipe will boost your greens as it is made with kale instead of basil leaves! Plus cashews had more protein than the regular pine nuts. It is delicious in any pasta dish or on toast with fresh mozarella. We love this comforting pasta vegan dish. 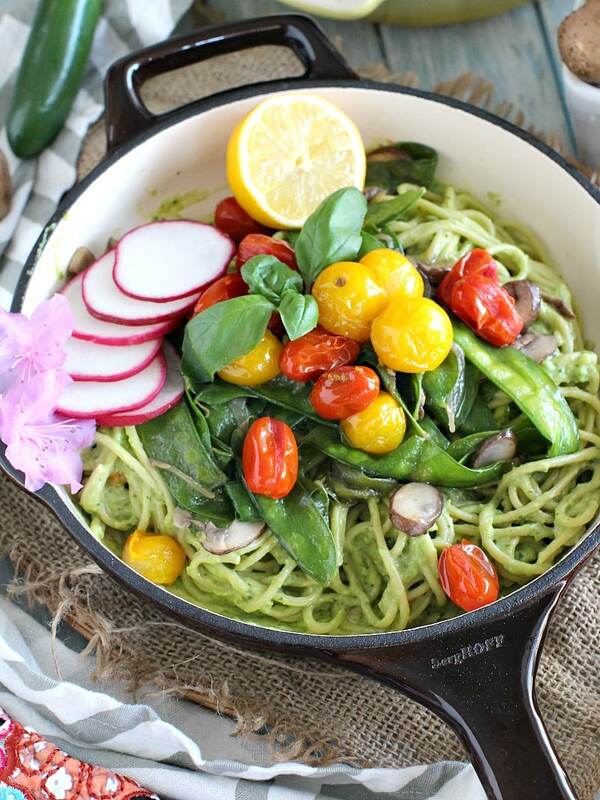 The sauce is made of green avocado and lime with roasted mushroom and snow peas on top ! 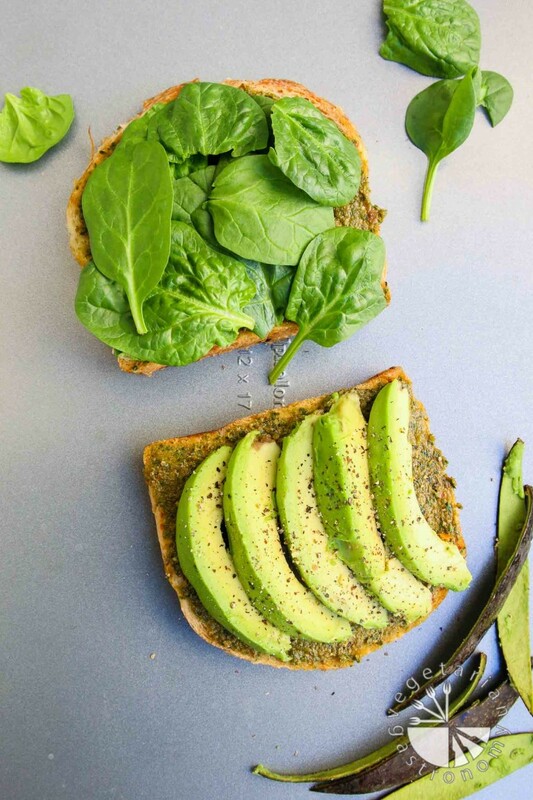 A vegan sandwich with avocado, spinach and pesto served into a lovely sourdough bead – we recommend wholemeal for a healthier choice! 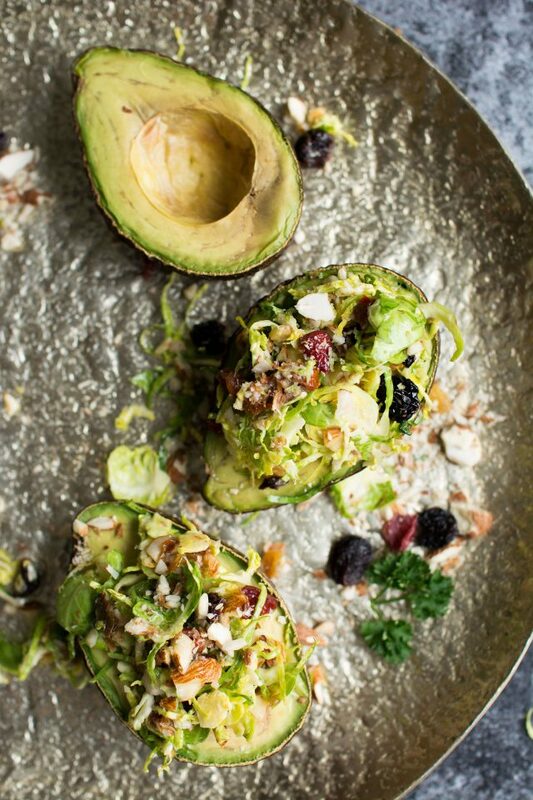 Brussels sprouts, almonds, sun-dried tomatoes and dried cranberries all served in a lovely avocado skin ! 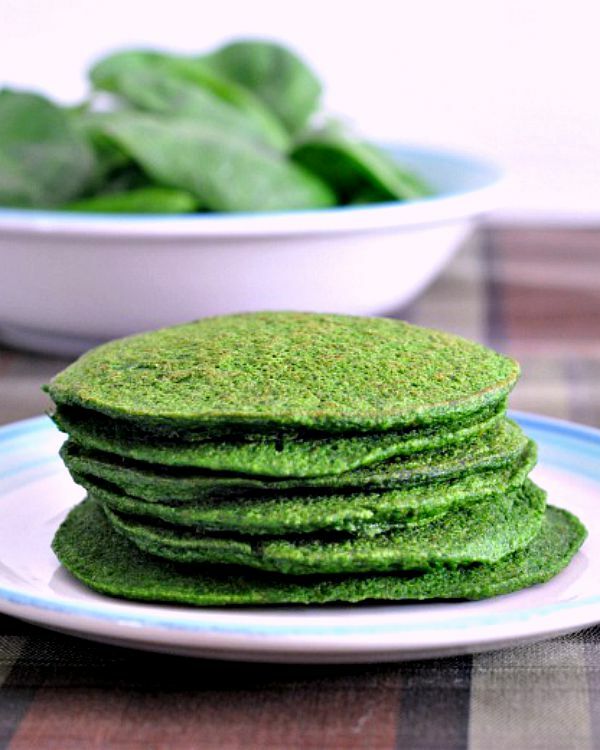 Spinach, flaxseed and rice flour to the most delicious gluten free pancakes. We recommend brown rice flour for a healthier option. 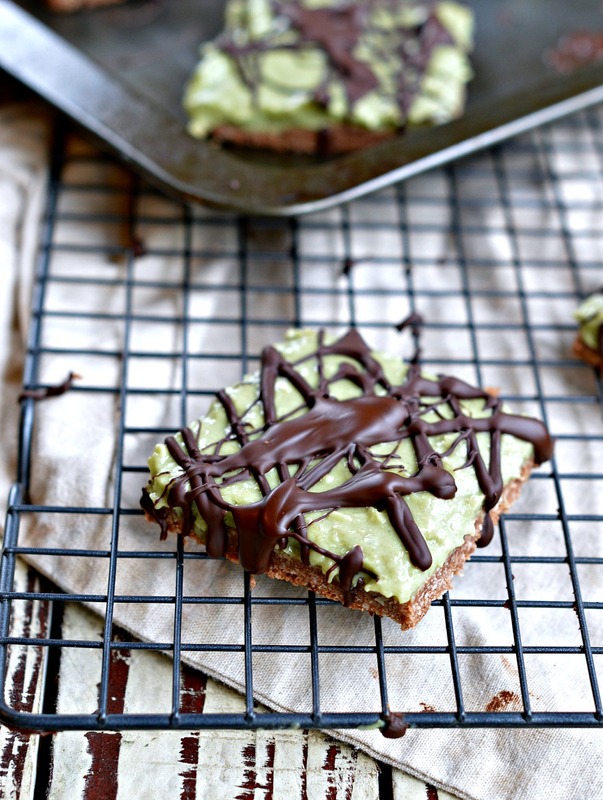 My raw mint chocolate slice are 100% vegan : no dairy, no gluten and super easy to make. 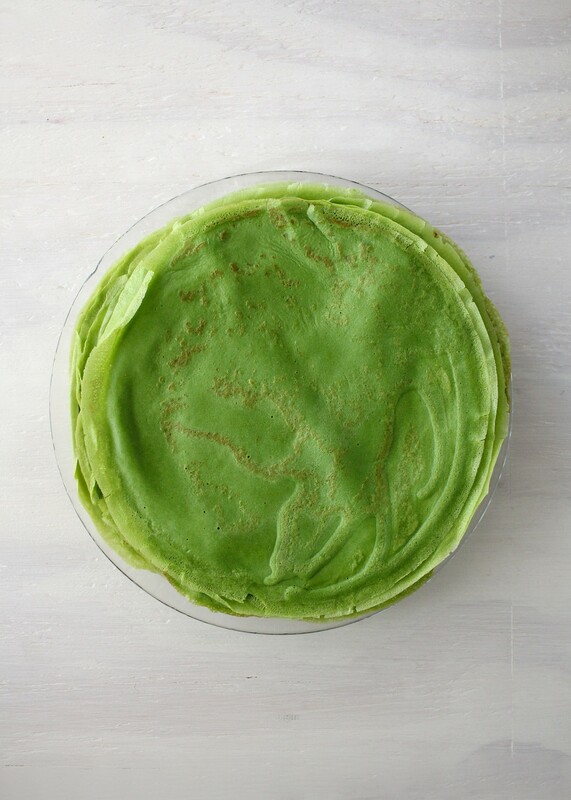 You will love the mint avocado mousse on top ! Delicious. 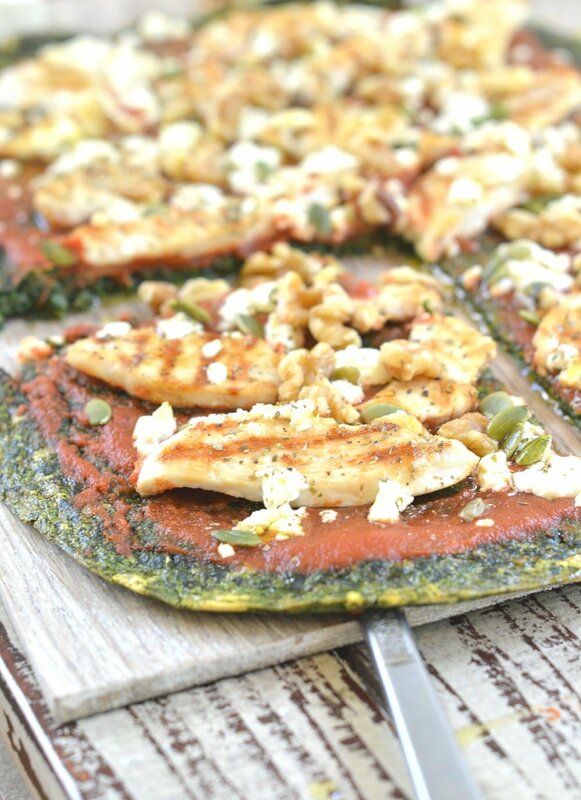 A 5 minutes blender pizza crust that combined nourishing oat and kale. 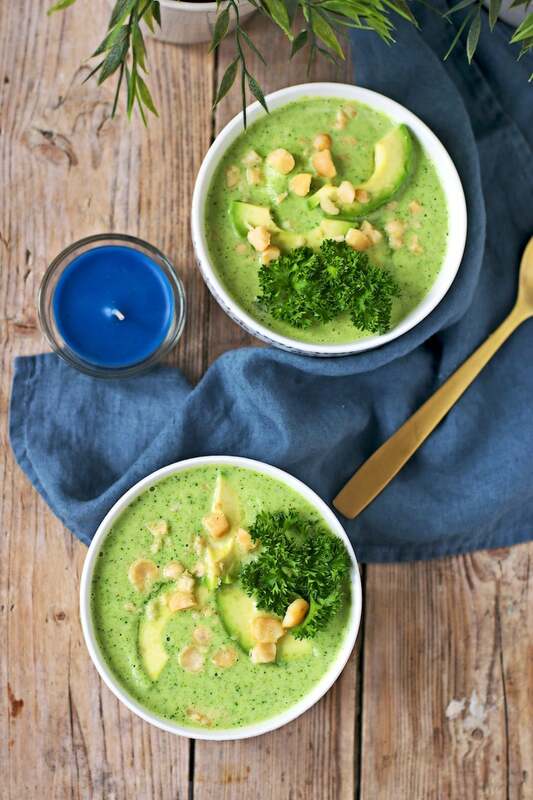 A lovely creamy soup 100% vegan combining broccoli and creamy coconut cream. We love the addition of avocado and macadamia on top too ! yum! Look at this lovely green color ! we love the crunchy roasted buckwheat groats on the top too. We love how healthy and delicious looks those ice cream cakes and even if they are not the the greenest recipe it must be in this healthy round up! 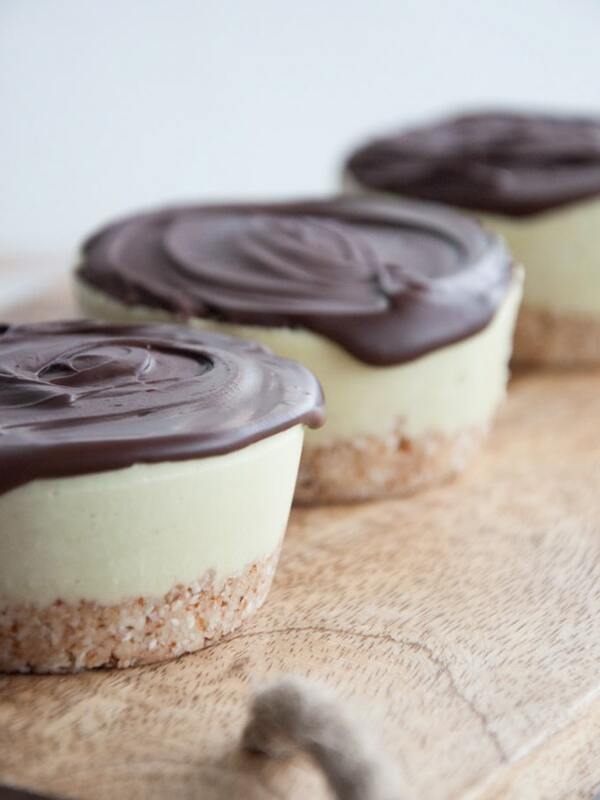 I am sure you can add a tiny more matcha powder to make this wonderful vegan coconut ice cream cups flash! A raw brownie crust made with almond, flaxseeds and pecan and a creamy coconut cream mousse. 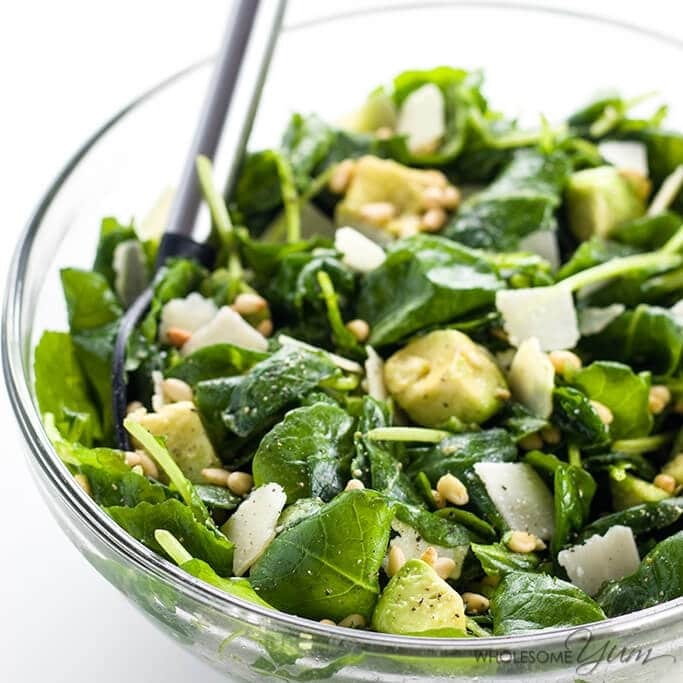 Simple salads are the best and you never go wrong when you combine kale and avocado ! Crunchy and smooth combo. Roasted cauliflower is the best way to decrease the carbs. We love this Japanese inspired recipe that combine cauliflower rice with roasted seaweeds, sauce sauce and garlic. 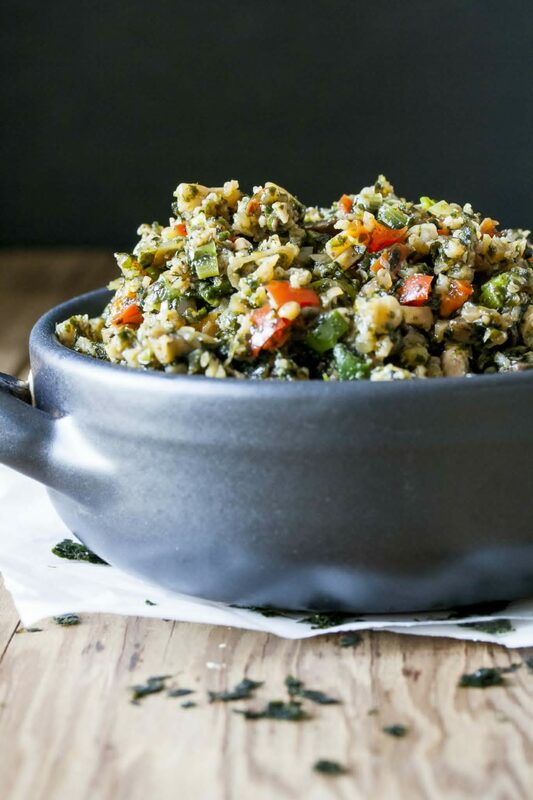 Low Carb Stir Fry Cauliflower Rice by veggiesdontbite. 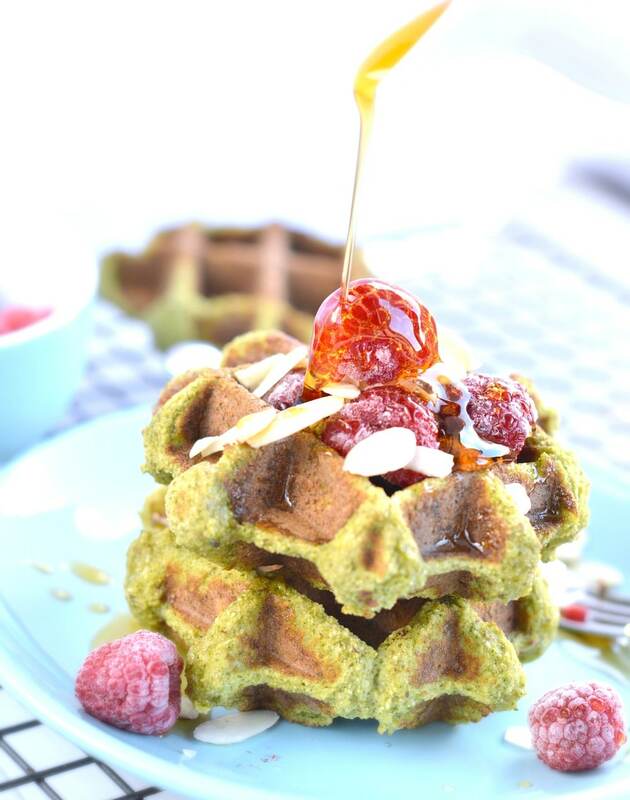 My kale waffle recipe is moist and fluffy made of coconut flour and kale waffles : the most delicious green breakfast loaded with fibre and protein. 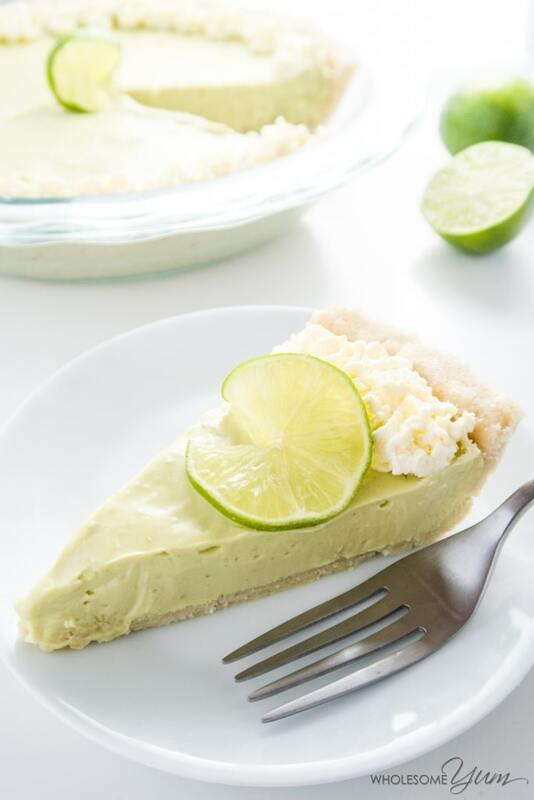 Lime pie is one of the most favorite dessert but when the recipe is low carb and don’t required oven it is a dream dessert! 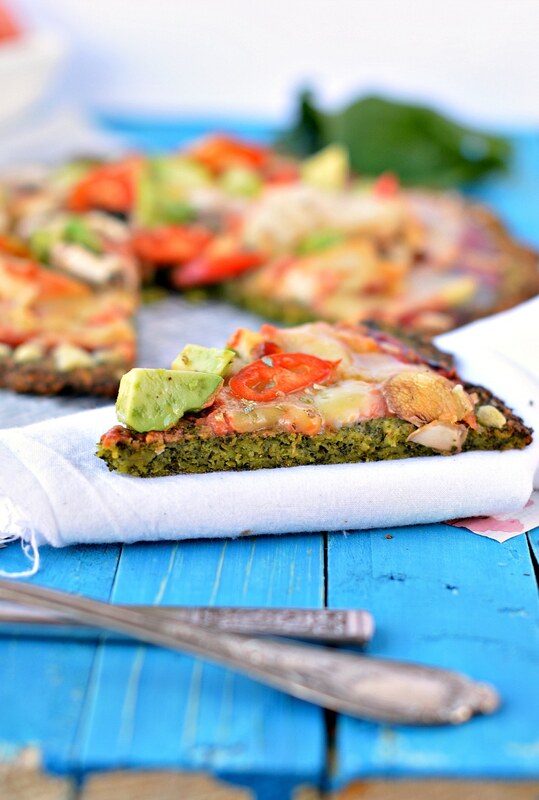 Egg, spinach and cheese that is all you need to makes my delicious spinach pizza crust. If you are looking for a low carb pizza crust that is quick and easy to prepare on St Patrck’s day that is for you! 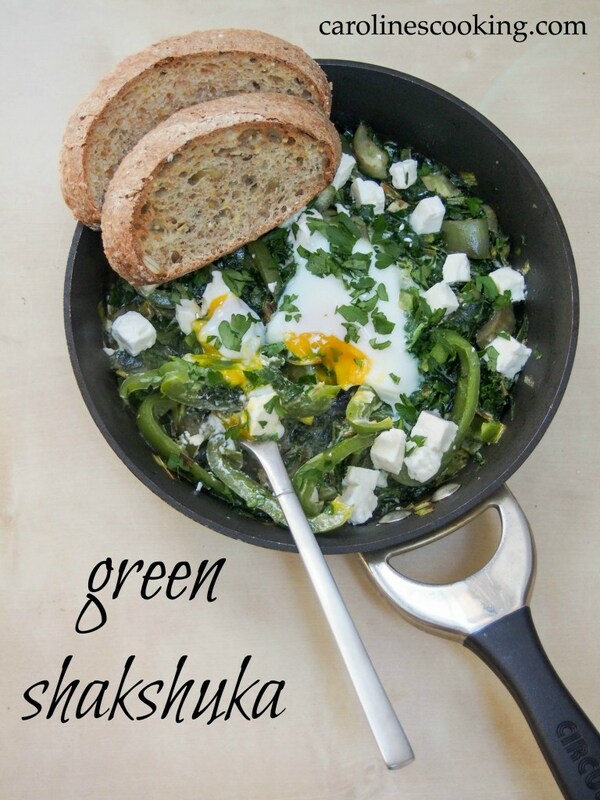 A delicious oven baked casserole made of eggplant, kale, green peppers and leek with feta cheese and egg. Loving all the green! 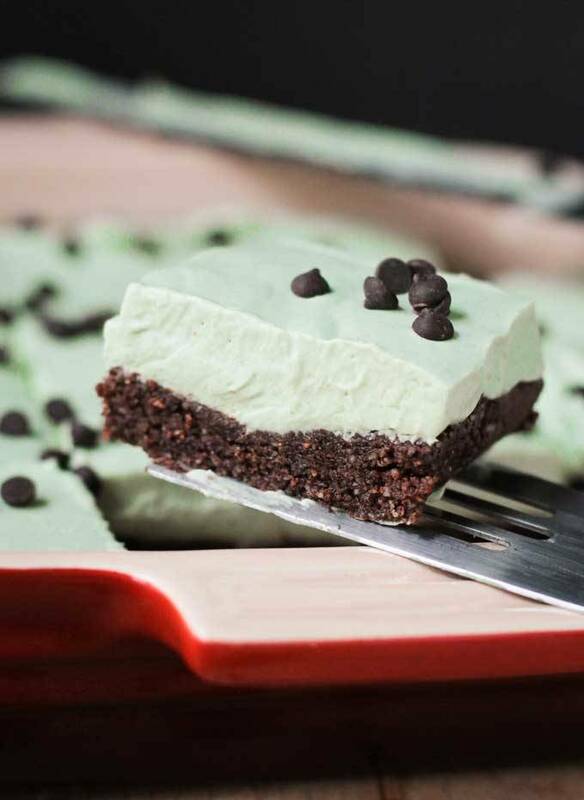 Thanks for including my Mint Cream Icebox Dessert! Sharing!